Borussia Dortmund forward Pierre-Emerick Aubameyang has reportedly handed in a transfer request in an attempt to push through a move to Arsenal. 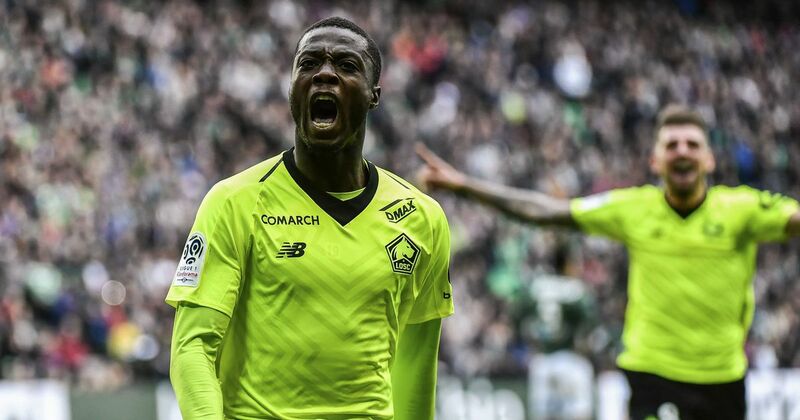 According to Bild (h/t John Cross and James Whaling of the Daily Mirror), the Gabon international has made it clear he wants to join the Gunners. Arsenal are said to be keen to add Aubameyang to replace the outgoing Alexis Sanchez. Cross and Whaling noted Arsenal's head of recruitment, Sven Mislintat, wants the striker to follow him from Dortmund to north London. "Even though Aubameyang has a bad-boy reputation, Mislintat has provided glowing reports, and Dortmund are ready to sell," the report noted. "Dortmund want £60 million, Arsenal will not pay anywhere near that, but the deal is likely to drag on." Arsenal are also said to be hopeful of landing Henrikh Mkhitaryan as part of any deal that would take Sanchez to Manchester United. Still, there aren't many Arsenal supporters who would be disappointed if a move for Aubameyang came off, as he's long been one of European football's most dangerous centre-forwards. While he's remained prolific this season with 13 goals in 15 appearances, there have been signs all is not well with Aubameyang at Dortmund. As reported by Stefan Buczko of ESPN FC, he was dropped from the squad for Sunday's match with Wolfsburg due to disciplinary reasons. It's the second time this term he's missed a game due to his conduct off the field. In relation to the Wolfsburg game, BVB head coach Peter Stoger confirmed Aubameyang had missed a pre-match meeting. No coincidence that we’re in for former Dortmund pair of Mkhitaryan &amp; Aubameyang. Arsene wants a ready-made attacking partnership with an established understanding to revitalise our season. It’s like when he added Overmars to Bergkamp. If Sanchez and Mesut Ozil, whose contract is also expiring in the summer, were to leave the Emirates Stadium, Arsenal would have a huge challenge on their hands in terms of recruitment. With that in mind, landing a player as productive as Aubameyang would be a big coup. It would be fascinating to see how he might line up alongside Alexandre Lacazette given Wenger has a preference for a solitary centre-forward. Even so, adding another dynamic attacking threat to the forward line can only benefit the Gunners.